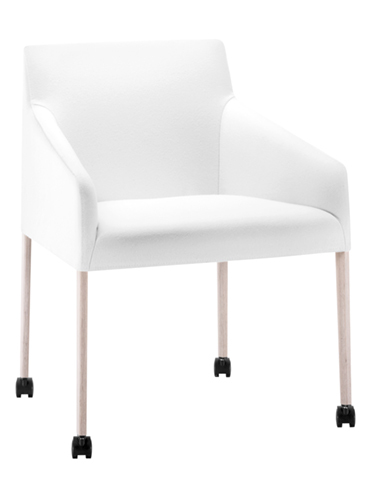 Armchair with four leg frame base available in chromed, painted or veneered stainless steel version. 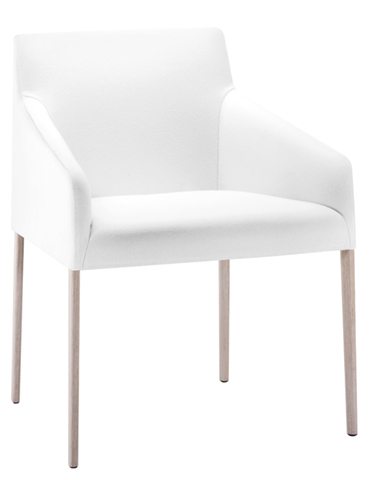 The upholstered shell with metal and plywood frame is available in leather, faux leather, fabric or customer’s fabric. Also available with castors. Seat height: 46 cm. Dimensions: 61 x 54 x 78,5 cm.